When animals get swept up in clouds, look out below! 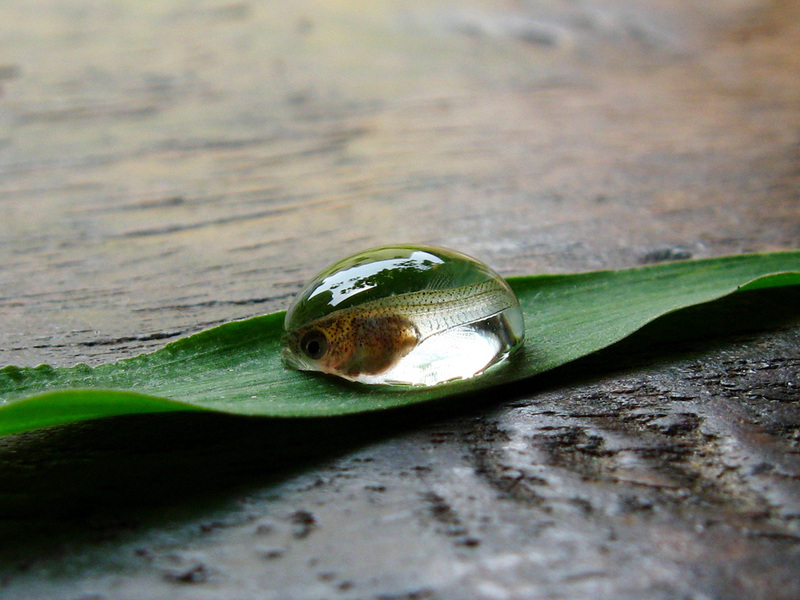 Animal rain is the natural phenomenon of small animals (such as this guppy) being swept up in waterspouts and then falling to Earth with raindrops. Read our media spotlight “Strange Rains,” which nicely explains how so-called “animal rain” might happen. The spotlight describes two types of weather conditions leading to animal rain: waterspouts and updrafts. Which type of weather probably led to the fishy rain in Sri Lanka? Read through the “Fast Facts” in our “Strange Rains” media spotlight, which lists examples of animal rain. Find these regions using our MapMaker Interactive, using the “Climate Zones” and “Precipitation/Rainfall” layers. (Adjust the transparency to compare the two physical systems.) What do the “animal rain” regions have in common? Where else might you expect to find outbreaks of animal rain? Animal rain is the result of drastic changes in temperature, humidity, and wind speed. The regions that have experienced animal rain—the southeastern U.S., southern India and Sri Lanka, Japan, the Australian island of Tasmania—all experience moderate-to-heavy precipitation and a humid temperate or equatorial climate. They are also coastal regions where lakes and rivers are common. The climate, rainfall patterns, and proximity to water create the perfect conditions for animal rain. Probably not. Tornadoes and other strong winds are certainly capable of sweeping up objects as big as houses. Tornadoes are swirling winds, however, not quite rainclouds. Cats, dogs, and people are usually too massive to be suspended in a cloud for even a short amount of time. Having said that, scientists are not quite sure how animal rain works. The waterspout theory is just a leading hypothesis and has not been tested or even scientifically observed. It could be the infinite improbability drive after all. Next Next post: Teacher Appreciation Week: Thank You Geo-Educators!